While earning my bachelors degree in interior design, I took a couple of courses where I studied both historical and contemporary architecture and furniture. 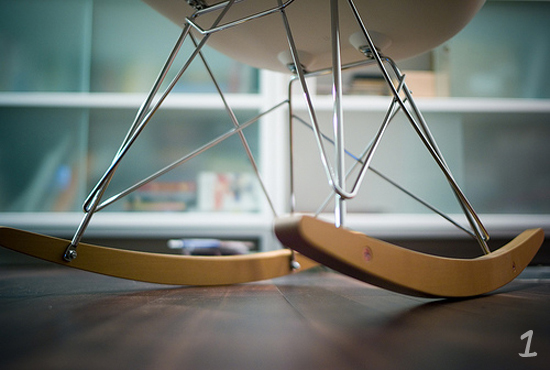 Through these courses I developed a love for designer furniture, especially pieces by Charles and Ray Eames. 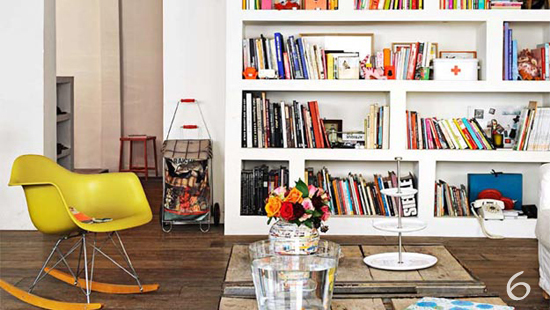 Their furniture draws you in with it's eye catching yet simplistic deigns. 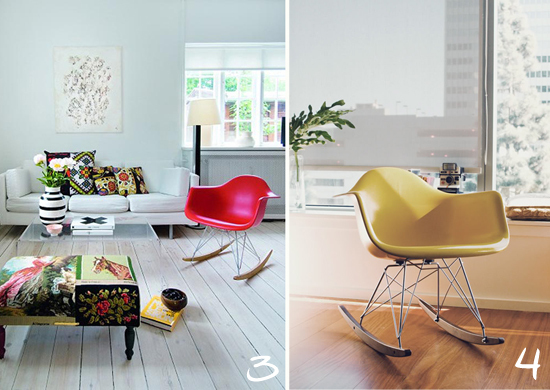 One of their more popular pieces is the Eames Rocking Chair which is gorgeous to look at and can add so much character to any space. 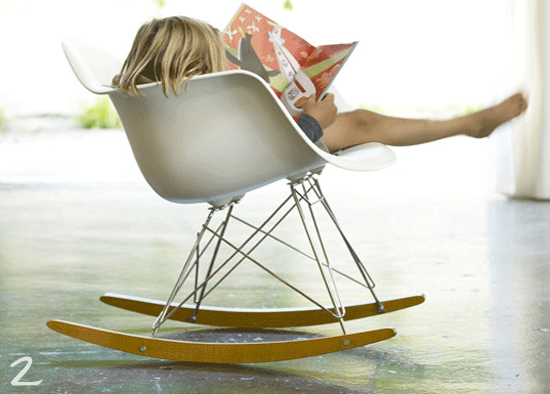 The only problem is the real deal costs a pretty penny, just under $500 per chair, Yikes! I have seen a few knock-off's though that run for a little over $100 (like this one). Someday I will own one of these, but for now I will enjoy these photos, hope you do to.